Who here used to pretend the floor is lava? When the newly announced Patch x8.20 appears in Fortnite, you’ll be able to relive those childhood fantasies onscreen. “Floor Is Lava” is a new mode about to erupt into the game. 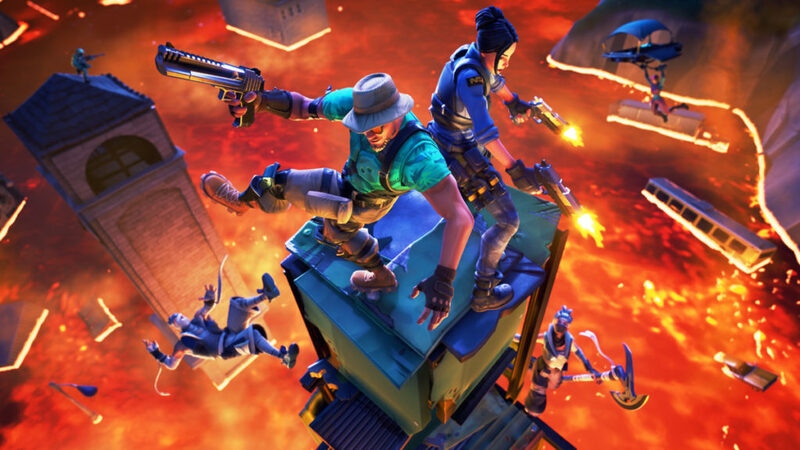 A few minutes into each Floor is Lava match, molten rock will begin to flow from the map’s lowest points As the match progresses the lava will continue to rise until, finally, the only safe place to stand will be user-constructed structures. The lava is slightly less deadly than the real-world variety…making contact with it will not instantly kill you, but instead cause the Super Mario 64 effect of bouncing you high in the air. Too many touches, though, and you really will be out. Floor Is Lava is described as a limited time event, so you’d best enjoy it while you can. There are other interesting things coming with this patch, like a poison Dart Trap and the long-awaited Arena Mode. Check out Epic’s patch notes below for the full details. This game just keeps getting more and more features. I like the action stuff contained in this game. Though it is not my kind of game, it can its interesting points.